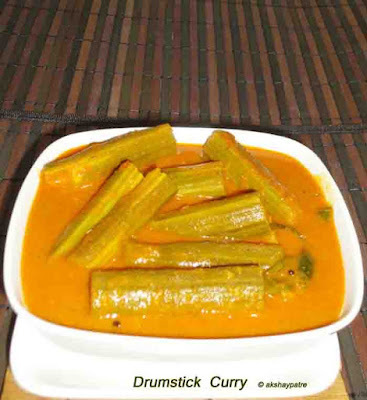 Nuggekayi huli recipe - Drumstick curry - This drumstick huli is a konkani style toor dal and red coconut masala paste based curry. Drumstick is my all time favorite vegetable pod, so I make curry and sambar often with it. 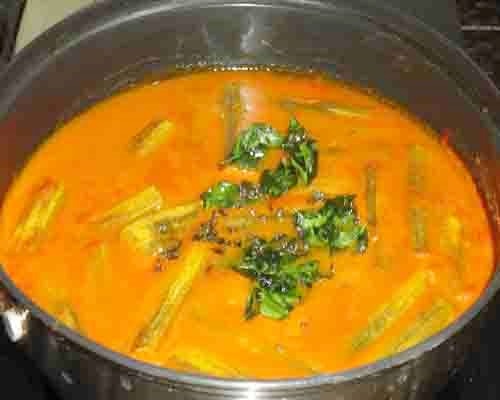 This curry has a slightly sour taste as I have used tamarind and such curries are called as huli in kannada.The flavor of drumsticks, curry leaves, fenugreek seeds, coriander seeds and garlic enriches the curry and also enhances the taste. 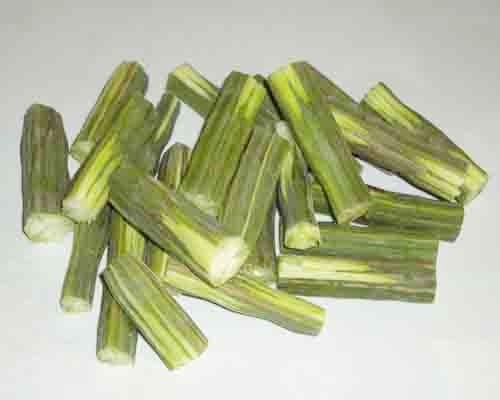 Drumstick is a seasonal vegetable pod and is commonly used in sambar and curries in Karnataka. 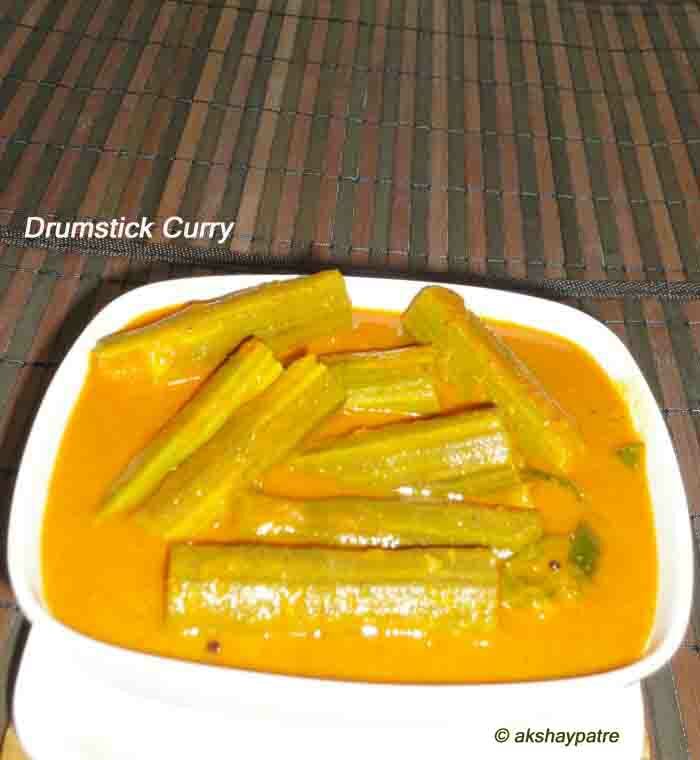 A very simple yet delicious hot drumstick curry really goes well with steamed rice. Healthy and yummy drumstick curry of Konkan region prepared by using toor dal and coconut red masala paste. Put the toor dal and 1/2 cup of water in a pressure cooker and take 3 whistles. Put all the ingredients mentioned under "grind to paste" in a mixer jar and grind it to a smooth paste. Boil sufficient water in a pan and add drumsticks. Cook till the drumsticks become soft and set aside. 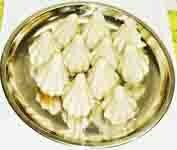 Put the boiled toor dal in a pan. Add masala paste to it. 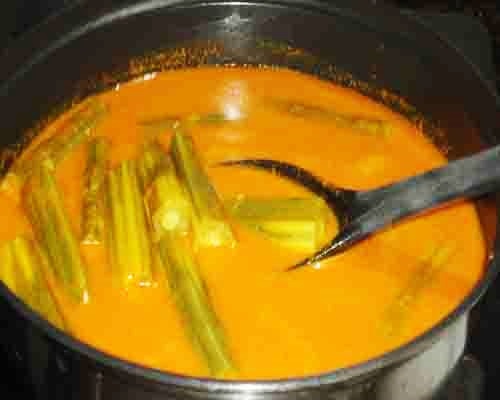 Add the boiled drumsticks along with water and make a medium thick curry. Bring it to boil and simmer till you get the desired consistency gravy. Switch off the flame. 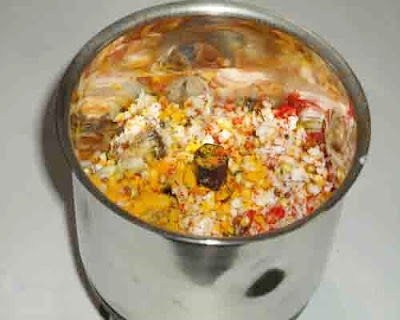 Make a tempering with the ingredients mentioned under "for the tempering" and pour it on the curry. Mix well. Serve hot nuggekayi huli with steamed rice. 2. 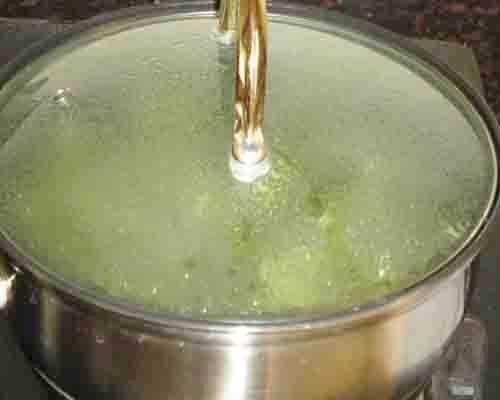 Put the drumsticks in boiling water. 3. Cook covered till the drumsticks become soft. 4. Arrange the ingredients mentioned under "grind to paste" in a plate. 5. Put the above arranged ingredients in a mixer jar and grind to smooth paste. 6. 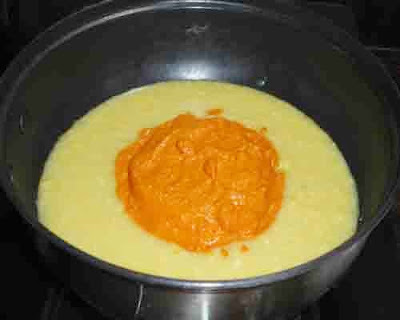 Put the boiled toor dal in a pan and add masala paste to it. Add salt and mix. 7. 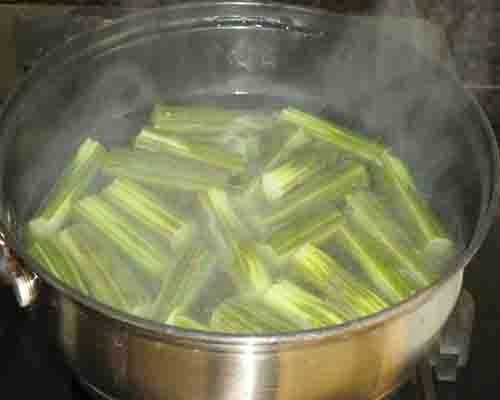 Add the boiled drumsticks along with water and make a medium thick gravy. 8. Bring it to boil and simmer till you get the desired consistency gravy. 9. 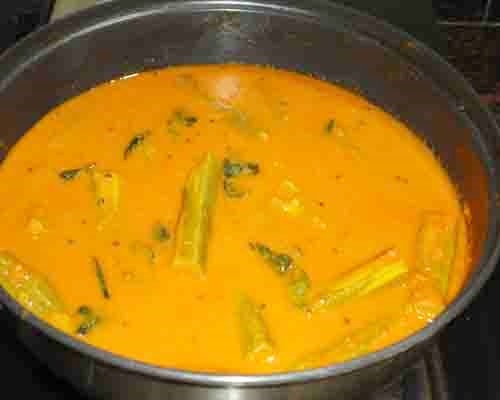 Make a tempering with ingredients mentioned under "for the tempering" and pour it on the curry. 10. Mix the tempering with the curry. 11. 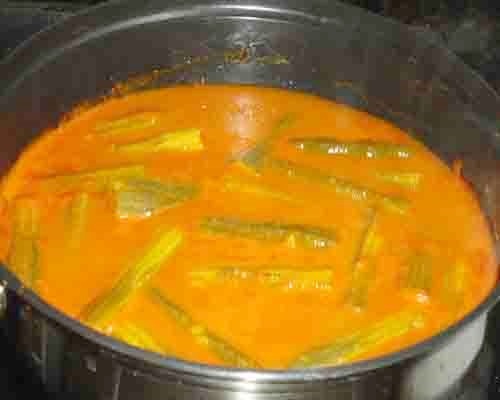 Serve hot nuggekayi huli with steamed rice. Healthy and an interesting recipe!